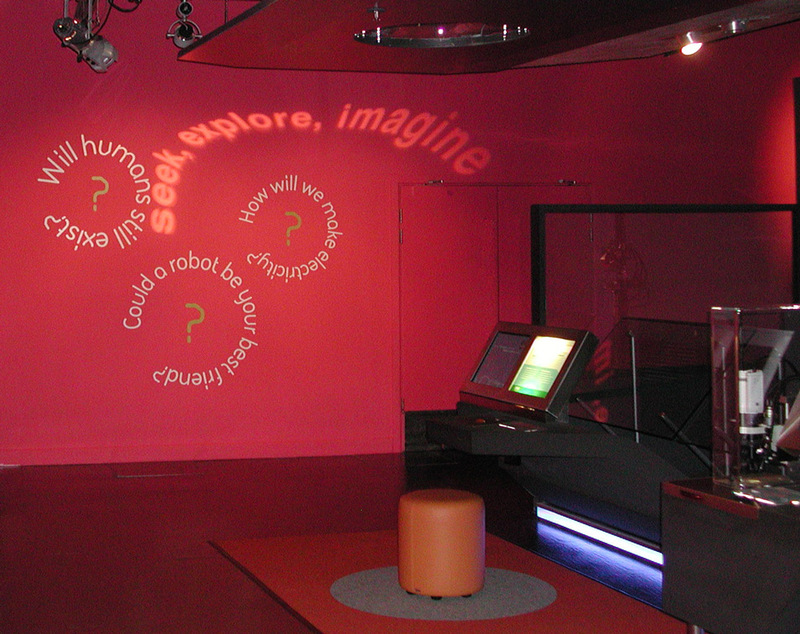 A major refurbishment of an existing exhibition. The original gallery was critised for making the future look 'grey' and uninviting. 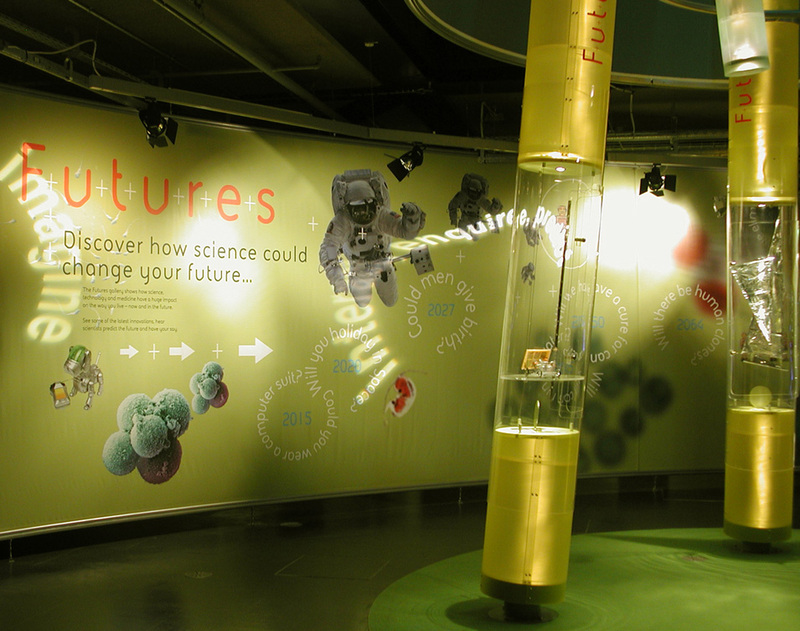 The brief was to make the 'future' more appealing and accessible to a wide family audience. Large colourful graphics were applied to new wrap-around partitions surrounding the visitor in a bright optimistic environment. 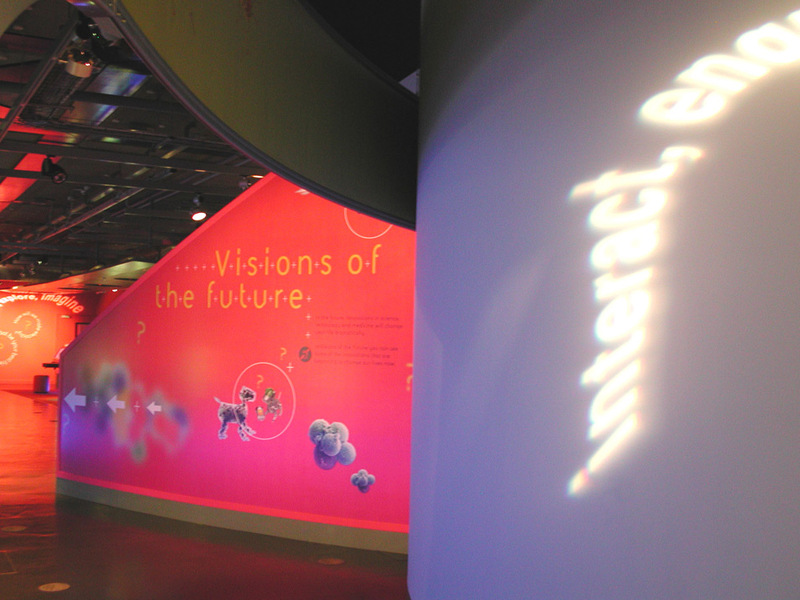 Overprinted and projected titles give an additional sense of depth and complexity. 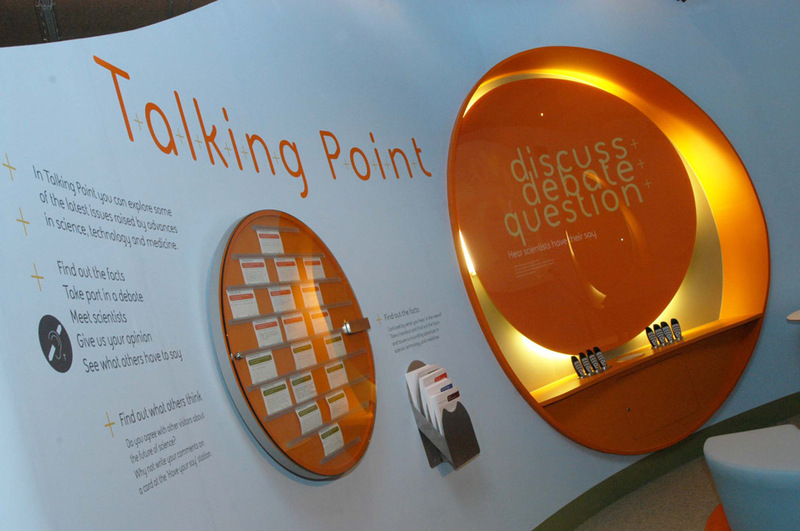 Clear, simple typography supports individual and group interactives challenging the visitor and encouraging discussion and debate about the future.